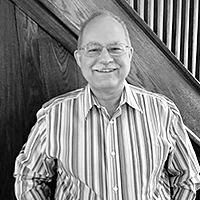 Bob Thompson is highly experienced in financial, retail, health and manufacturing fields, where he has worked as a Project Manager, and Quality Assurance Manager including planning and executing disaster recovery tests. He has worked in data centre migration and planned and executed other infrastructure projects. He utilises standard QA and PMI processes, and adapts them to the needs of the individual projects and organizations. He has improved efficiencies by following Agile and risk based processes as appropriate, for mainframe, client server, web, and mobile platforms.